LivingNonviolence works to inform and inspire a life of nonviolence. Gandhi claimed that nonviolence is "the law of our being"; that nonviolence manifests in human life in infinite ways; that violence is an aberration from being human. We agree! We write to support and encourage this point of view. We are writers from many locations and walks of life, most associated with an international non-profit called Nonviolent Alternatives. We will post to this blog twice a week, schedule permitting. To receive the latest post by email or through RSS feed, please subscribe above. Or simply check in regularly to see what's new. Nonviolence is the personal practice of being harmless to self and others under every condition. The term “nonviolence is often linked with or used as a synonym for peace, and refers specifically to the absence of violence and is always the choice to do no harm or the least harm. I’m a person who doesn’t like violence or conflict in my life. There are many things going on in the world that are violent and it hurts me to see that. 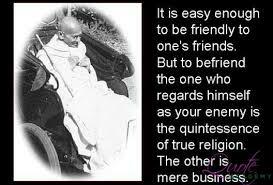 I’m going to write about having respect for others, to have patience, and to love one another, even if you are enemies. The more we respect others, the more effectively we can persuade them to change. Never use humiliation as a tool–or accept humiliation from others, as that only degrades everyone. Remember, no one can degrade you without your permission. Before people say anything to anyone they should think about what they are going to say to that person. They should think, what I’m about to say, is it respectful to this person? Will they get hurt from what I’m going to say. 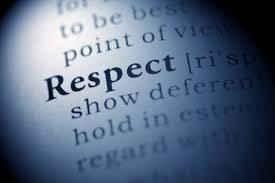 I feel if people are respected by you, they will show you respect as well. I also think teaching children at a young age to show respect to their peers will decrease the violence that we are seeing everyday. We can teach them to use polite words, be kind, listen carefully, think first, take turns, be honest, and help others. By teaching kids this, they will have a better understanding of how to respect others as they grow older. Next I’m wanting to stress having patience. 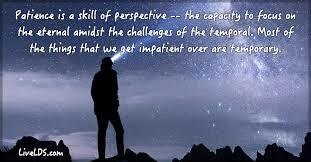 Patience is the capacity to accept or tolerate delay, trouble, or suffering without getting angry or upset. Patience isn’t just about not being angry with others, but also not being angry with yourself. It’s about being able to keep a cool head and proceed whatever the obstacles are. There are many benefits for having patience. They are: being able to control our actions; it helps us to make a calm and effective response to a challenging situation; and prevents others from getting hurt. I feel the last benefit I listed is very important because I don’t like to see people getting hurt. I like to see people happy and comfortable with where they are. In the Bible there are a few places where you will see it says to love your enemies. Like in Luke 6:27: “But I say to you who hear, Love your enemies, do good to those who hate you.” Also in Matthew 5:44: “ But I say to you, Love your enemies and pray for those who persecute you.” These two passages are just two examples of many in the bible about loving your enemies. I feel love is a very strong word and a lot of people have a hard time with it. 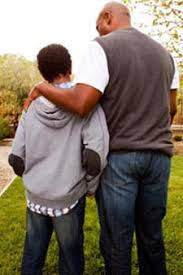 Why I say that is because there are a lot of people that grow up in this world and are not shown love by their parents or extended family. If they aren’t shown it at a young age they wont be able to show it when they are older. Then they could have many enemies in their life and not know how to deal with those enemies. I think it is important to love our enemies because that is how I was raised and that is what I believe God wants us to do. In conclusion , I think if you have these three things I've mentioned in this post; respect, patience and love; then you will live a life with nonviolence. 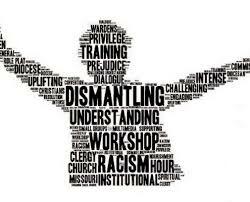 During the following weekend many members of the predominantly white Christian congregation engaged in a “Seeking Racial Justice” workshop over the span of a day and a half, learning more about the internalized social constructs that provide the medium for the growth and nurture of racism - and how we unconsciously perpetuate them. Over the weekend of April 13-14-15, an island delegation of white Jews and Christians, intent on building a stronger and healthier working relationship between our two congregations, journeyed together to Atlanta, Georgia, to share in Shabbat services at The Temple, to do community service together, planting a community garden, to worship together at Ebenezer Baptist Church, the home church of Martin Luther King Jr. The trip emerged out of the deep friendship between the pastor of Ebenezer Baptist and our beloved pastor here on the island and out of the personal friendship between our rabbi and our pastor. These friendships have become like leaven in our island faith community as they seek to strengthen the bonds of relationship between congregations across racial and religious boundaries. A careful examination of this part of our sacred text demands that Christians come to terms with the shadow that moves through our scriptures. It demands that Christians consciously work at recognizing the terrible suffering and damage that was set in motion by the texts as Peter’s words were transmitted down through the generations. Our 1st century faith ancestors used harsh, ugly, accusatory words against their cousins, brothers and sisters and friends. They set in motion a devastating legacy that would reach far into the future. They wrote their words down and the words were passed from generation to generation creating a poisoned soil not unlike the legacy of the poisoned soil of racism we have inherited over the last 400 years. Carried beyond the context of the 1st century struggles for religious identity under Roman oppression, Peter’s words would become texts of terror for later generations of Jews as the epithet of “Christ killer” became useful in rallying crusades, expulsions, forced conversions, property theft, pogroms - eventuating in the horror of the holocaust and in the up-tick of anti-semitism we are witnessing world wide today. It is very hard to come to terms with the shadow side of our own scriptures, but the words are there and cannot be denied. Relationships between Jews and Christians are still burdened by fear and suspicion, by guilt and lack of understanding. The terrible consequences of portions of our own sacred texts are still waiting to be fully healed. There is so much repair work still waiting to be done. The great power of the last couple of weeks of focused concentration on the legacy of racism and antisemitism that burdens our life together has been that we are learning to be together through the pain of truth telling; learning how to consciously do the work required to move from the Egypt of mere tolerance and acceptance through the Wilderness of respect and affirmation into the Promised Land of solidarity and the ability to act and work together in a way that brings about genuine change. In the midst of everything that threatens to undo us racially, politically, socially, and religiously, it is good to be reminded that the strenuous work of remembering our history, of taking up the burden of the brokenness and pain it has caused, is being done in pockets here and there around the country. 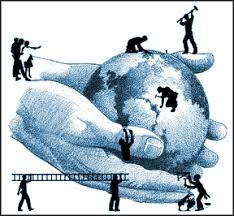 Tikkun olam, the healing and repair of the world is in progress. We all have a role to play as the work continues, however small the increments. Perhaps the work will never be truly finished. However, we are blessed by the compassionate and challenging words from Pirkei Avot (The Wisdom of the Fathers): You are not obligated to finish the work, but neither are you free to desist from it. It is entirely possible that in working together across the boundaries of faith and color, enduring the unpleasant truths and the awkward moments and creating something new together is the way we enter into the Beloved Community. 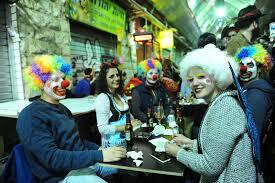 Purim is the day of greatest levity in the Jewish calendar. It is a time to get out of our selves, to let go, to laugh, to engage in good-natured mocking. That is why we dress up, costumes the order of the day for adults as well as children, all indeed as children. Learning to let go, to step out of our self-imposed restraints on laughter and levity, is all part of the Purim theme of turning reality on its head. It is part of the Purim nature of creating an olam hafuch/an upside down world. The upside down world we come into is meant to be the truer, clearer world. 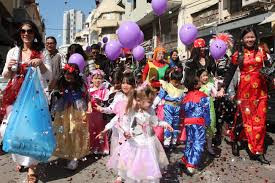 The impetus to create a different reality is taught on Purim largely in regard to externals, the trappings of costume, of plumes and pageantry. It is from there that we come to think about the deeper meaning of turning reality on its head, creating a world that isn’t yet, but might be. When I think of the phrase olam hafuch on Purim I quickly recall a Talmudic story set in a very different context than Purim. In what we might call a “near death experience,” Rav Yosef son of Rabbi Yehoshua was gravely ill and fell into a coma. Regaining consciousness, his father asked him, mai chazit/what did you see in the next world? Rav Yosef said to his father, olam hafuch ra’iti/I saw an upside down world. The ones above in this world are below in the world to come, and the lowly in this world are above in the world to come. R. Yehoshua said to his son, olam barur ra’ita/you have seen a clear world (Bava Basra 10b). While I prefer to take the vision of what Rav Yosef saw a little further and imagine no one with the upper hand, but all equal in the world to come, the story is deeply telling. The world as we know it, one of pain and strife caused by human inequality and injustice, of violence and greed and hate, this is the upside down world. The vision that we seek to fulfill of a repaired world is the world of clarity, of the vision brought into focus through the lens of time and made real. In all of its craziness and zaniness, this is the deeper message of Purim. Our own festivities in my synagogue on Purim night this year helped to draw me out into that place of vision by realizing how much fun we can have together. We danced and paraded in costume and song, a moment ostensibly meant to be for children saw children and adults all gleefully dancing and strutting their costumed selves in gleeful delight. 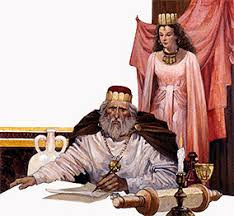 Our Megillah readers graciously chanted as children all but climbed upon the old Scroll of Esther spread out on the low table. Our Purim shpilers, the Purim playmakers who mock and poke good-natured fun, outdid themselves, creating themed lyrics worthy of Broadway, so much heart and love for who we are, all the while gently mocking and making us laugh at ourselves. To learn to laugh at our selves is the best way to learn to embrace each other and others for whom each one is, frailties and strengths woven together as one. And yet, there is still the challenge of the Megillah, its own lesson found in learning to hold at once all aspects of reality, the seamy and sordid with the sublime and beautiful. There is still such violence in the Megillah, hate directed at us and then our own murderous response when given the chance, tens of thousands of Persians killed at our hand when the genocidal edict is reversed. And as the scroll unwinds, we are challenged to see the turning of the world, wondering as we go which is up and which is down, which the real world, which the one that is upside down, which the inverted and which the one of vision clarified. 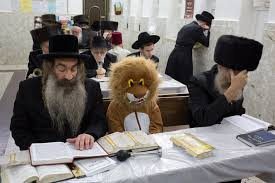 Late on Purim afternoon it is my custom to go to a nearby Chassidic community whose kind and joyful spirit consciously infuses my own synagogue. I found it hard to let go amid the joy that filled the room, too rooted within myself and in the world as it is. 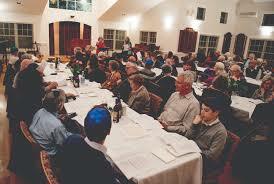 Alcohol flowed freely and each one around the table offered words of Torah with greater and lesser degrees of seriousness, interruptions of song and l’chayims throughout. Pressed to share some words, I offered pure Purim Torah, farcical interpretations of words and numbers in the Megillah, playing on Shushan Ha’birah/Shushan the capital become as “Shushan of the flowing beer.” Forced out of myself, sharing became a way of connection, of opening up, loosening up in a deeper way than the way of alcohol, quietly nursing my own strong drink slowly over time. After I spoke, a dear friend and teacher to many began to teach. I had needed to leave well before this point, or at least I thought I had needed to leave. 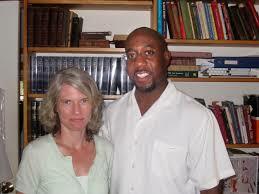 Hoping to hear Reb Nehemia’s words, our host asked if I would stay if Nechemia spoke next. And so I stayed, and I stayed, song and laughter interspersing deep words of Torah, teaching well beyond Purim and yet rooted in the most difficult places of the world as it is. R. Nechemia taught from the Chassidic teacher, the Ma’or Va’shemesh, Rabbi Kalonimus Kalman Epshtein. I was spell bound as a teaching of violence transformed unfolded at that table, the world as it is turned upside down, nonviolence replacing violence. It became a shining instance of the way Torah opens to reveal a new reality right from within its own “harsh passages,” pointing beyond the Torah’s own places of violence. In the Torah weekly portion that framed Purim, Ki Tissa (Ex. 30:11), we encounter great wisdom in B’tzalel, the artisan and teacher entrusted to lead the building of the Mishkan. Guided by the light of the Ma’or Va’shemesh, we understand what true wisdom means. 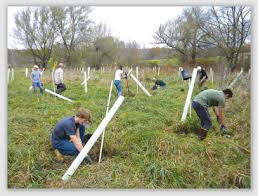 As B’tzalel weaves together the gifts of hand and heart as given by all the people, we realize that the true sanctuary he is building is that of a world whose ways reflect the vision clarified, not the inverted world as we know it, the olam hafuch, but the world as it is meant to be, the olam barur. 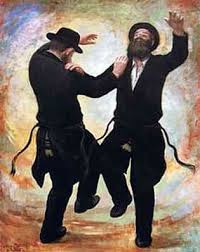 As we hold all of the harsh realities of the world as it is, in the way of Purim that teaches us yet to rejoice, may we dance and sing, children all, as we make our way in costumed parade to the Mishkan of the world as it might be. The latest issue of The Christian Century had an article about how the Trump Administration is making some of the work of the Christian Church easier. Not that anybody asked. In fact, in this instance, Trump policies are decimating a significant ministry and taking jobs, not creating them. Since the church does most of the work of refugee resettlement, the agencies responsible can't do much if there aren't any refugees to resettle. Six of the nine organizations that help settle refugees are religiously affiliated. They include the U.S. Conference of Catholic Bishops, Church World Service, Episcopal Migration Ministries and Lutheran Immigration and Refugee Service. The latter, through Lutheran Social Services in Sioux Falls, is the primary agency for resettlement in South Dakota. All of these organizations are cutting back staff, offices and/or services. World Relief, another of the six, is laying off more than 140 employees. The Hebrew Immigrant Aid Society is closing two offices in Los Angeles and Chicago. Catholic Charities, the outreach arm of USCCB, expects to close one fifth of their 75 sites across the country. The San Antonio office of Catholic Charities laid off thirty percent of their staff. One of the most disturbing facts in the Christian Century article is that in 2017 there were 20,000 cases where refugees had signed statements for resettlement from the State Department and did not arrive in this country. It's heartbreaking to think there are so many languishing in camps around the globe with successful vetting and a broken promise. We know what conditions in those camps are like. We've seen the pictures. 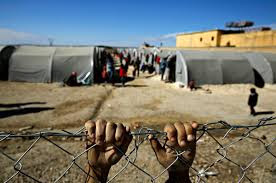 It's difficult to give an average length of time for remaining in a refugee camp but it's figured in years, not months, and can vary from two or three to more than thirty. 2018 will not be much better for refugee resettlement as the Trump Administration has slashed the number of refugees to be admitted to less than half. Only a few more than 6,000 had come into the country in the first three months. It's unlikely we will admit the 45,000 allowed by the end of the year at that rate. On the other hand, this past Monday I took my Mount Marty class on a field visit to the Multicultural Center in Watertown. 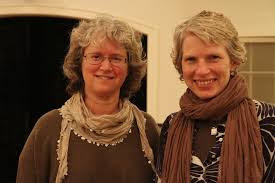 The Benedictine Sisters have developed a ministry there to "welcome the stranger" to their community. I wasn't aware that they are now in their tenth year of operation, have satellite ministries in other locations and have provided services to hundreds of people from 20 different countries. They offer courses in both English and Spanish. One is called Speedy Spanish and Coffee. It's for those who might want to "taste the language" of this large minority group in the United States. Participants learn how to greet another in their own language or surprise them with a Spanish farewell. Let the grousers who are always saying, "let them learn English" expand their horizons and learn a little Spanish. 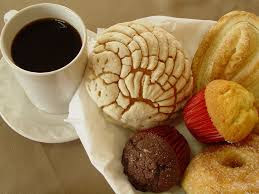 They serve coffee and Latino cookies or pan dulce. See how easy it is? 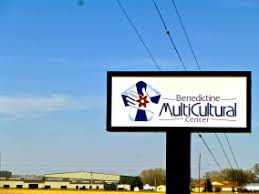 The Multicultural Center sponsors cultural enrichment celebrations. They have an office on human trafficking and provide education and organizing events to stop it. They help prepare immigrants for citizenship and offer a summer youth program. One of my students will begin volunteering there in their English as a second language program. 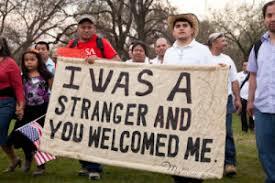 All of this takes place because they believe in the idea so prominent in Scripture of "welcoming the stranger." At the same time the Trump Administration demonizes and limits refugees, church people are stepping up in greater numbers to support refugee programs with donations and volunteers. The volunteer base of Church World Service has quadrupled. Donations to World Relief have nearly doubled in the last two years. Several agencies have rented apartments for resettlement that now stand empty waiting for occupants. Generous donations of furniture and clothing remain in storage. Let us be clear! Our diversity as a country is our strength! We are not a melting pot but a rich stew! If we can find a way to live together as a diverse people without betraying our claim to "give me your tired and your poor," and our ministry to "welcome the stranger," the human community has a future. There is no other country on earth with the same opportunity to overcome the barriers of race, clan and creed. May we reach a time when we understand we are brothers and sisters in God's realm and no longer separated by walls of indifference.